MEDFORD/SOMERVILLE, Mass. (July 6, 2018)–A team of engineers led by Tufts University has developed a prototype bandage designed to actively monitor the condition of chronic wounds and deliver appropriate drug treatments to improve the chances of healing. While the lab-tested bandages remain to be assessed in a clinical context, the research, published today in the journal Small, is aimed at transforming bandaging from a traditionally passive treatment into a more active paradigm to address a persistent and difficult medical challenge. "We've been able to take a new approach to bandages because of the emergence of flexible electronics," said Sameer Sonkusale, Ph.D. professor of electrical and computer engineering at Tufts University's School of Engineering and corresponding co-author for the study. 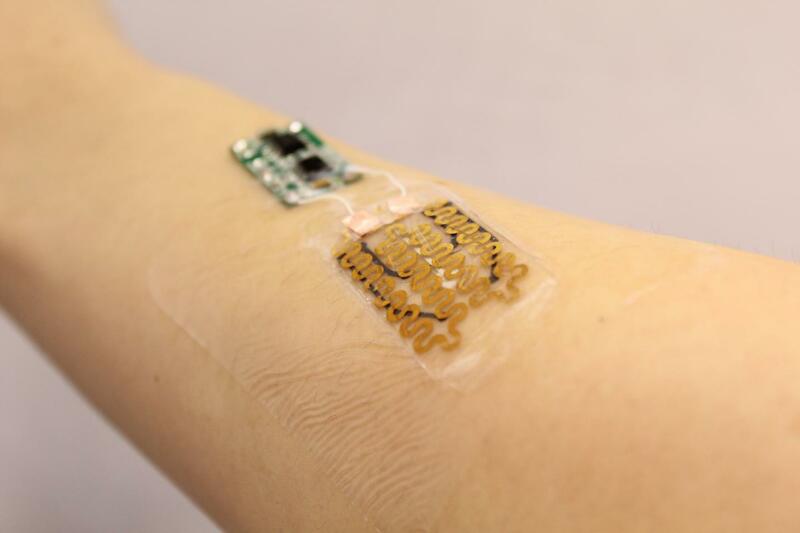 "In fact, flexible electronics have made many wearable medical devices possible, but bandages have changed little since the beginnings of medicine. We are simply applying modern technology to an ancient art in the hopes of improving outcomes for an intractable problem." "The smart bandage we created, with pH and temperature sensors and antibiotic drug delivery, is really a prototype for a wide range of possibilities," said Sonkusale. "One can imagine embedding other sensing components, drugs, and growth factors that treat different conditions in response to different healing markers." This work was supported by the National Science Foundation (EFRI-1240443), the Office of Naval Research Young Investigator award, ONR PECASE Award, and the National Institutes of Health (AR066193, AR066193, EB022403, AR057837, HL137193, EB021857, T32 EB16652 and EB024403).